Launching this Friday is the much anticipated Rihanna x Puma collaboration, his first collection with the brand since she was named as the Women’s Creative Director. 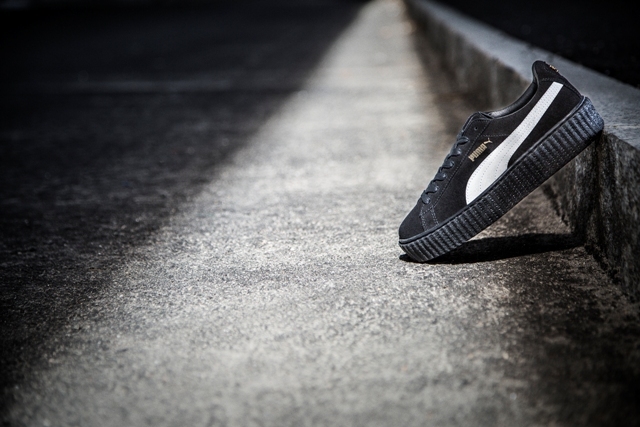 The collection will feature 3 colourways of the new Puma Creeper in black & white, black & gum and all over gum brown. Built like the classic Puma Suede, the trainer sits a top a creeper sole which gives it an essence of @badgalriri rebellious vibes. The trainers are set to be snapped up fast so keep your eyes peeled for them launching online here and in store this Friday. Check @offspringhq for more updates.